Small balcony ideas-You may not have a large terrace, but your little small balcony ideas can also look good. Yes, the balcony of your house can become your favorite corner with little effort. And without spending a lot of money. You just have to learn how to intelligently use the square meters of it. 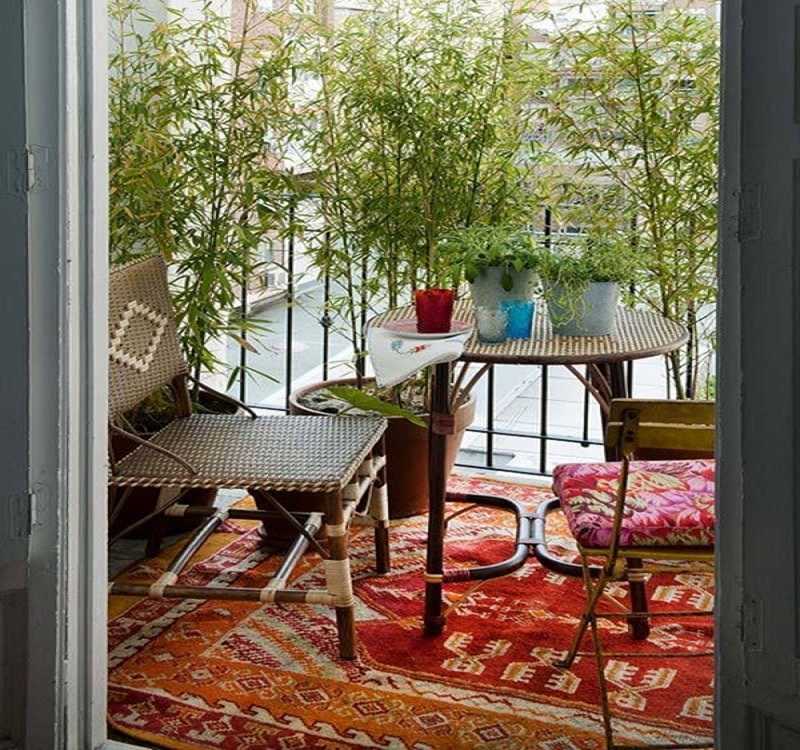 Today we will give you some ideas to decorate small balcony ideas and take advantage of each corner. The decoration of balconies is important to be able to enjoy that small oasis in the middle of the city. Whether you want to take the outdoors for breakfast or eat outdoors. As if you prefer to have this corner to relax after a day’s work. How to decorate a small balcony ideas? Will I use it daily or only once in a while? Would I like to be able to eat or have a snack on the balcony? Would I like to sit down and read? Would I like to receive visitors and invite them to the balcony? If I put plants on the balcony, will I have time to take care of them? These are just some examples. Maybe in this way you will be more clear about where to focus your energies and your budget. And is that if you come to the conclusion that you will use it very little, maybe you should think of a more casual and aesthetic-oriented decoration. On the other hand, if you plan to use it daily, take a nap in a hammock, sit down and read, and that kind of activities, it will be best to think of a functional balcony, and of course, without neglecting the aesthetic. Anyway, next you will see some images of small balcony ideas to inspire you and you can get the perfect balcony for you. If you do not have much space but do not want to do without a table to have breakfast, lunch or dinner out, you should definitely bet on the round tables . This type of tables take much better space, because they occupy less square meters. Another option would be to bet on hemispherical tables that can be anchored in the wall or balcony railing. In addition, a good solution can be to buy stacking or folding chairs, of those that you can then hang on the wall, or stools. If you do not have enough space to put even a round table, consider the balcony railing . Perhaps you will be surprised by the wide variety of accessories for railings or balcony railings that you can get in the market, from tables that will avoid having to place large furniture, to trays to place the ingredients of a barbecue, for example. And yes, today we find really small barbecues that can fit without problems even in the smallest spaces. As you can see at this point, there are many alternatives for decorating very small balcony ideas . From tables to hang from the railing, shelves, and even small tables to place a laptop. Textiles inside the home are essential, there’s no doubt about that. Well they can also be in the decoration of balconies . Bet on big cushions of colors and different patterns to give more dynamism to the space, but also what would you think to have a carpet? You can opt for the classic carpets of natural fibers , or else, vinyl carpets are currently being used a lot , ideal for humidity and outdoor areas. In the case of the latter you should not worry about the inclement weather. Following with the ideas to decorate small balcony ideas we return to the beginning. 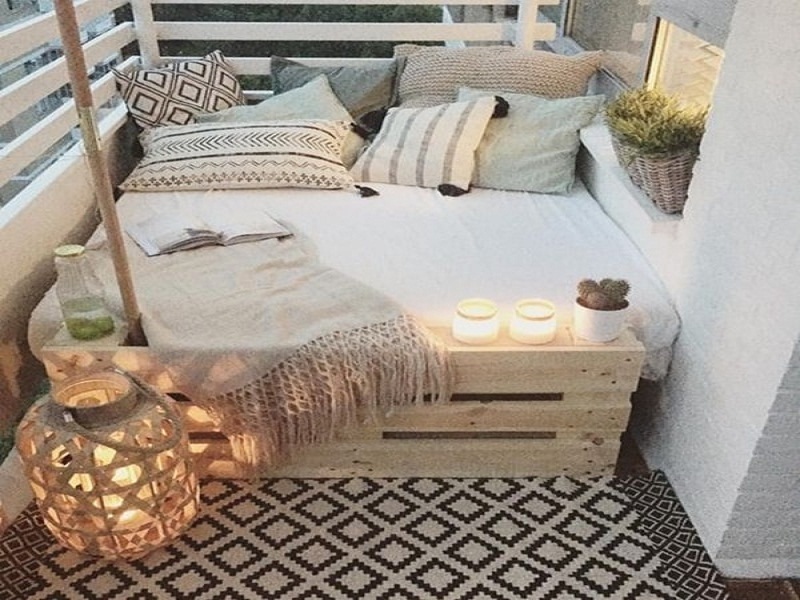 What use will you give to your balcony? The answer is very important, as it will completely change the choice of furniture and accessories. Maybe what you want is to simply relax outside your house, in this case, you can opt for comfortable chairs, maybe those fordable. Or maybe you’re interested in creating a chill-out area with a mattress almost flush with the floor, filled with cushions of different sizes and colors. The furniture outdoor pallet with padded surfaces and cushions are great. Using the balcony at night will only be possible if we have good outdoor lighting. At this point, while it is true that any light source can work, why not opt ​​for elegant and subtle lights ? You can buy those solar lanterns, those that are charged during the day to give us light at night in an ecological way. Another option is the typical garlands of lights . In addition, you can also buy candles or small standing lanterns. 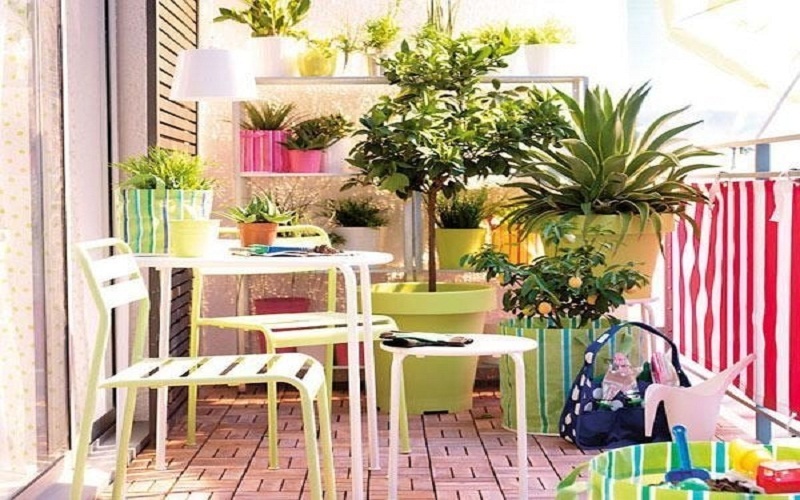 We can not forget something fundamental in terms of decoration of terraces and balconies , plants . These are necessary to give color and life to space. Also, they will make you relax much better while enjoying a cup of coffee on your balcony. 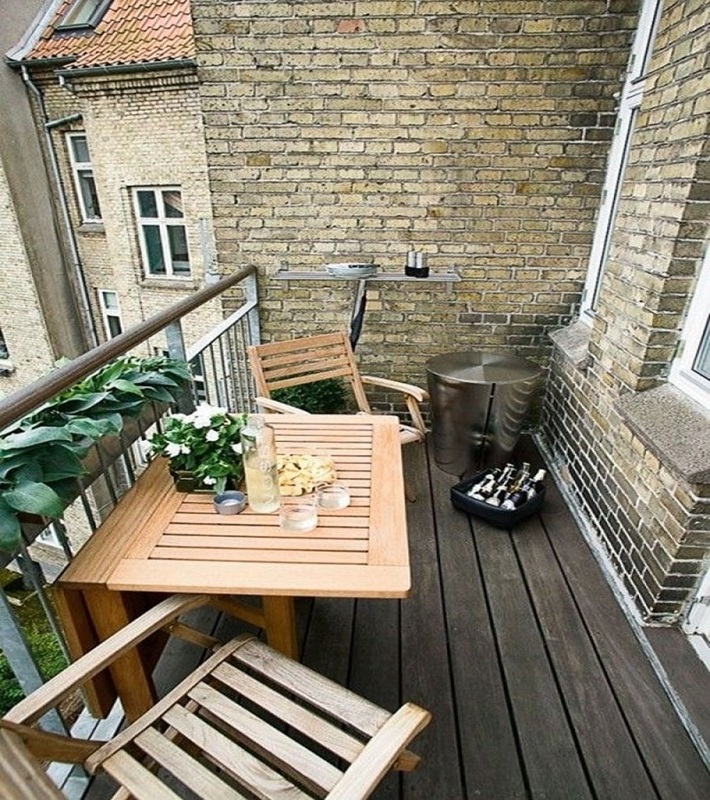 What do you think of these ideas for decorating small balcony ideas? You can see more ideas in our section of balconies and terraces decoration. We would love to read you in the comments, so if you want to tell us what you think of the article and / or give us suggestions for future entries, do not hesitate to do so … Thanks for following us!